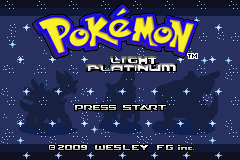 Yesterday I happened upon a Pokemon ROM-hack called Pokemon Light Platinum. 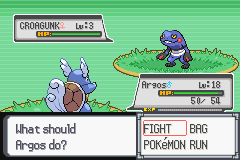 It was created from a Pokemon Ruby ROM, by WesleyFG. Due to its heightened difficulty level and well designed environment, it has become one of the most popular ROM-hacks at the moment. Hopefully it provides me the Pokemon experience I've been waiting for all these years. I have a feeling it will. 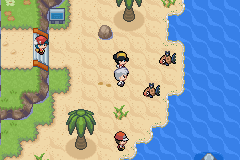 It features a large selection of Pokemon from all games up to gen 5. WesleyFG has implemented many custom tiles and sprites, giving the game a unique feel overall. 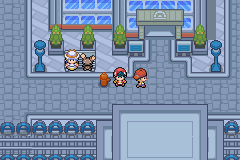 So far, I haven't encountered any custom background music, only the music from Pokemon Ruby. From the very beginning, this game already had me fainting again and again. The very first trainer you meet has 5 Pokemon in his party, and with no healer in your home town, you’re limited to grinding in grass before you can move on. I can’t wait to see how this game will continue to pummel me! Of course, being a fan-made ROM hack, it’s far from perfect. There are many issues with game tiles and, as the game was originally made in Spanish, the translation is very patchy and as imperfect as it can get (Edit: I managed to fins a better translated version of the game so that’s all good now). However I find that I can overlook these things and the game is still thoroughly enjoyable. I apologise about my lack of details about the game, but I want to play through this game blind so I can have the best experience possible. I recommend anyone who wants a truly challenging Pokemon experience to give this ROM-hack a go. It is possible to run this ROM on an emulator on your mobile device, or you can use an emulator on your PC to play it.